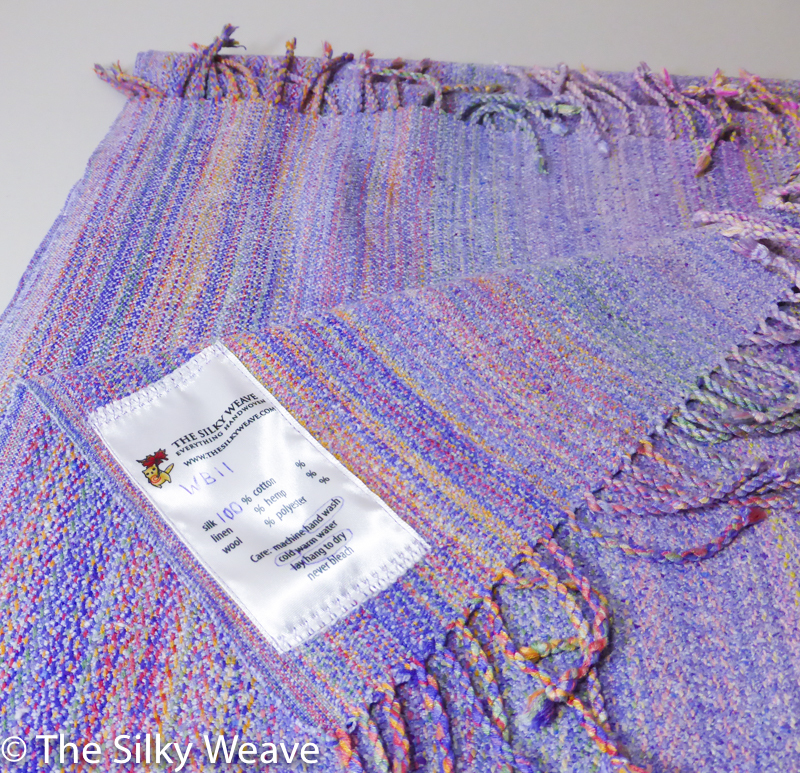 Ahh, a bourette silk with color nubs! 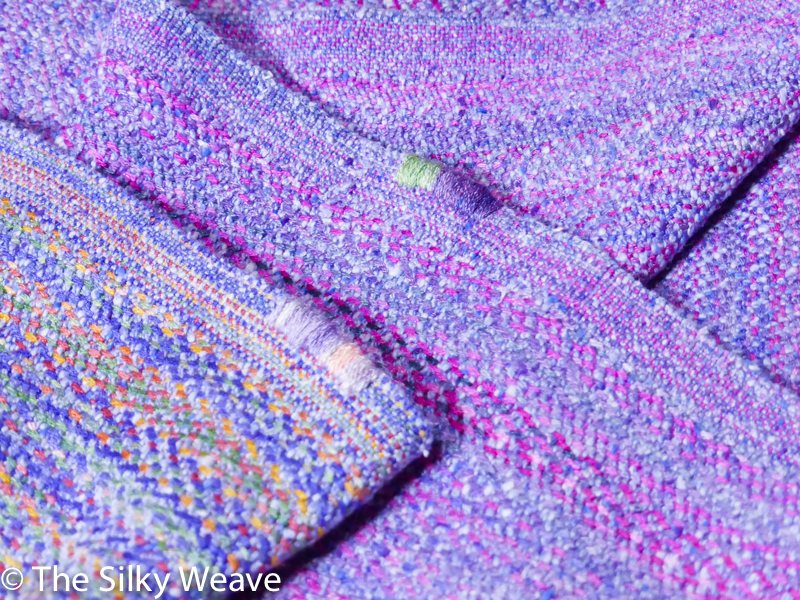 Habu markets this silk as “tsumugi”, which is a Japanese word for bourette silk. 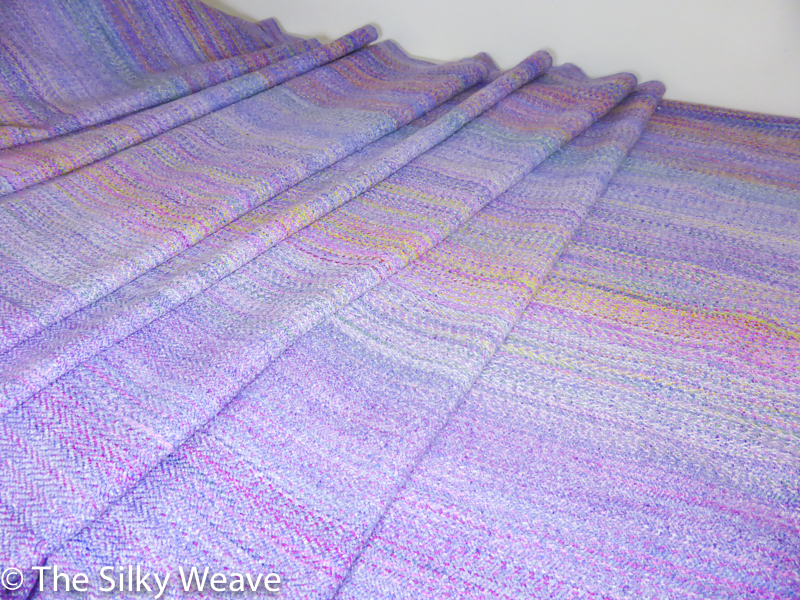 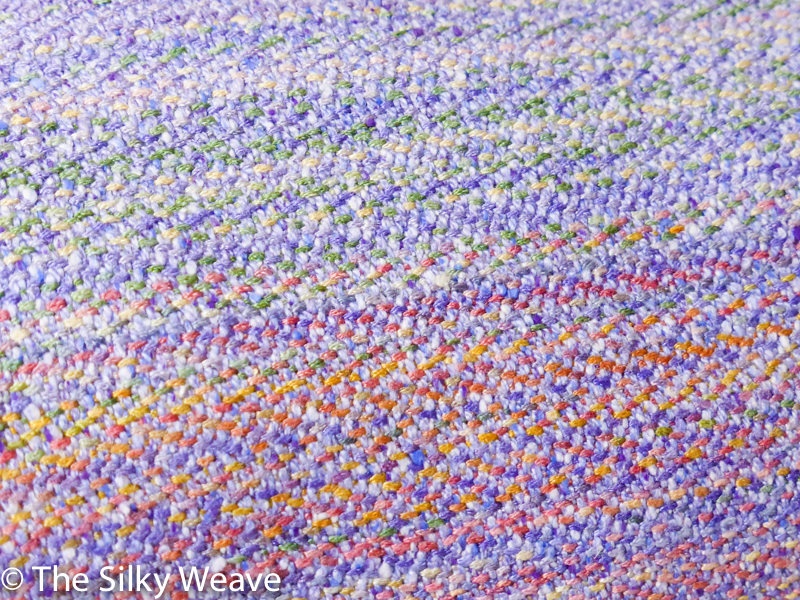 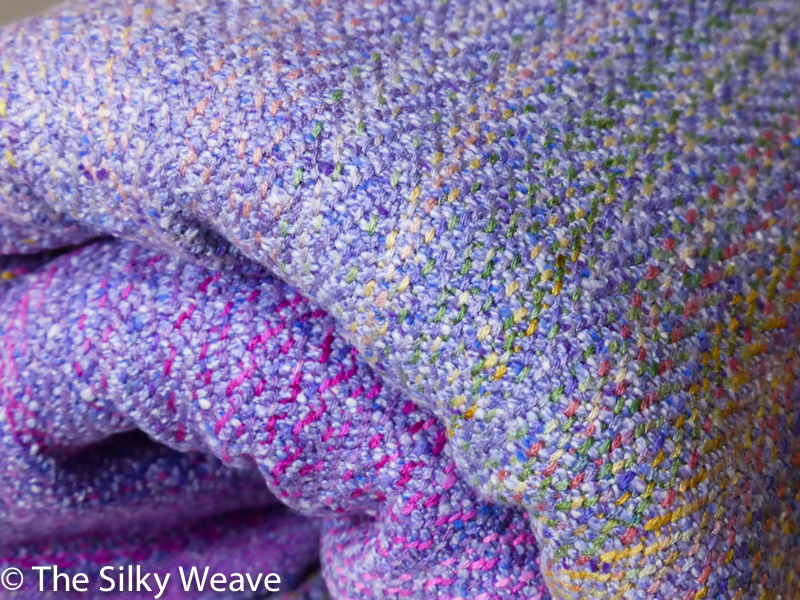 This silk gives a highly textured surface – quite unique to this yarn. 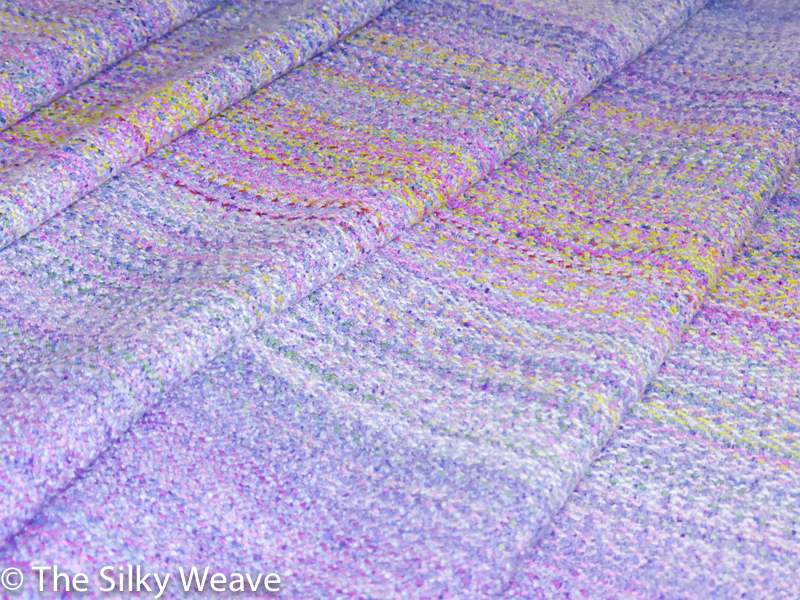 This all-silk wrap is 318 GSM.